What is the source for attempting to avoid daily challenges? What is the source for the oft-repeated idea of trying to avoid daily challenges/nisyonos? As one example, in daily prayers, we say "...וְאַל תְּבִיאֵנוּ...וְלֹא לִידֵי נִסָּיוֹן" - "Do not bring us close to... a challenge..." From Torah sources it would seem that facing challenges is an opportunity to accomplish one's purpose as was done by Avraham, Yosef, etc. and it would seem that avoiding daily challenges would deprive one of accomplishing his/her purpose. Rav Yehuda says that Rav says: A person should never bring himself to undergo an ordeal, as David, king of Israel, brought himself to undergo an ordeal and failed. David said before God: Master of the Universe, for what reason does one say in prayer: God of Abraham, God of Isaac, and God of Jacob, and one does not say: God of David? God said to David: They have undergone ordeals before Me, and you have not undergone an ordeal before Me. David said before Him: Examine me and subject me to an ordeal, as it is stated: “Examine me, Lord, and subject me to an ordeal; try my kidneys and my heart” (Psalms 26:2). Not the answer you're looking for? 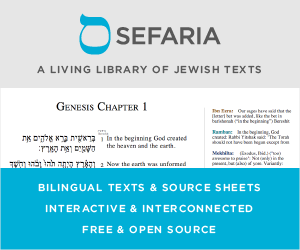 Browse other questions tagged sources-mekorot tefilla hashkafah-philosophy prayer-book shacharis-morning-prayer . Is there an order to the 6 daily remembrances? What is the Source for Peyos? What is the source for saying Parshas Hamon is a Segullah for Parnassah?